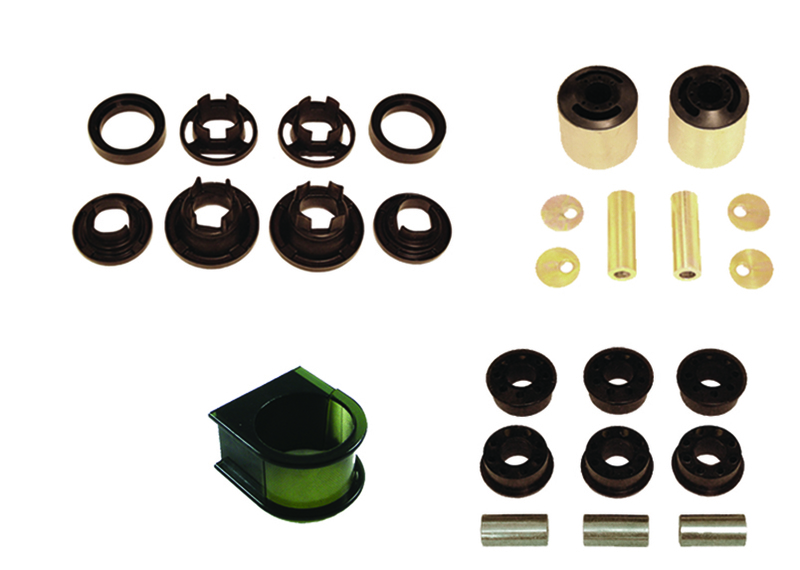 Whiteline Essential Bushing Kit | Buy Whiteline Essential Bushing Kit at Discounted Price & Free Shipping! Essential Bushing Kit by Whiteline. By matching key bushing, alignment and geometry products into one solution, Whiteline Essential Kits provide bang for your buck handling upgrades that simply Activate More Grip. 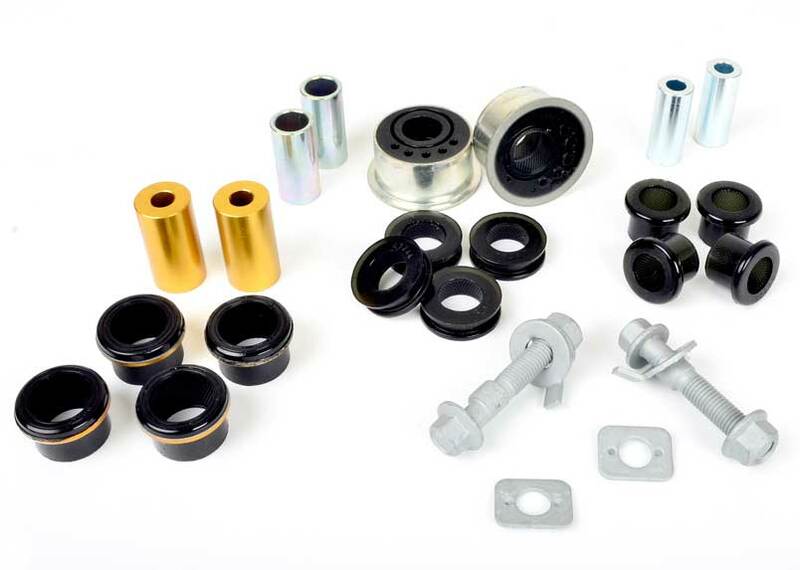 Essentials include front camber bolts, front anti dive/ caster kit, steering precision rack and control arm bushings that deliver go kart like steering and next level grip to your vehicle.